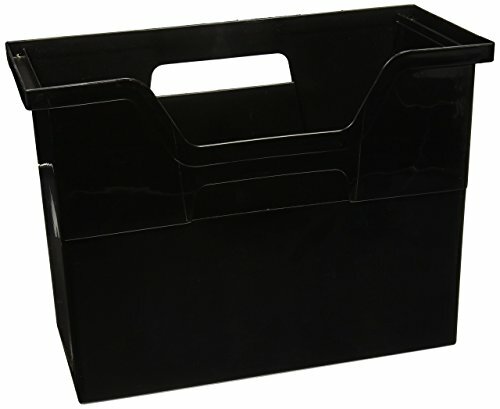 The Oxford Portfile Large Portable File Box is a complete, ready-to-use portable filing system. The durable plastic, built-in handle and secure latch closure are perfect for use on the go. Includes 3 blue Pendaflex Reinforced Hanging Folders with 3 clear plastic tabs and extra paper inserts. 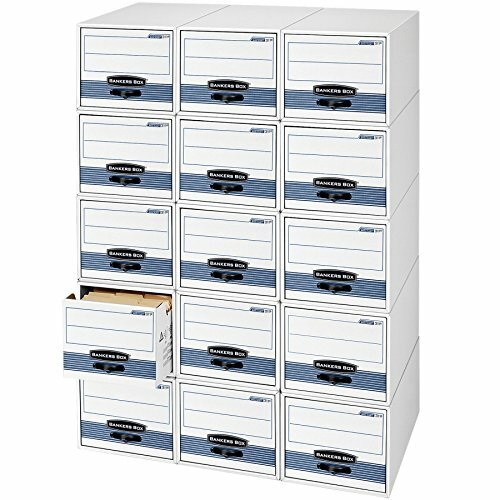 Each file box holds up to 22 letter-sized hanging folders. Black. 11" H x 14" W x 11-1/8" D Size. Double wall, single wall construction. Lift-off lid ships attached to prevent lid loss, then tears off for use. Basic-duty, standard set-up construction for moderate stacking or use with shelving. 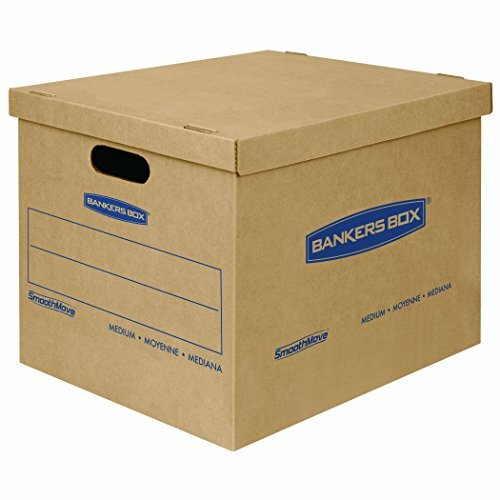 LETTER or LEGAL FILES: The storage organizer may fit both letter and legal-size files/paperwork fitting your unique filing system. 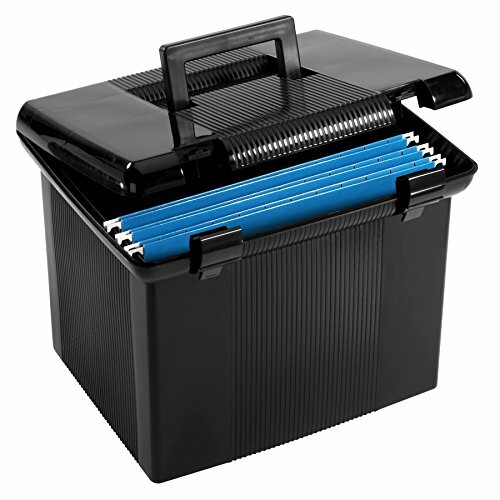 PORTABLE - STACKABLE - VERSATILE: The collapsible storage file bin is equipped with easy access carrying handles and is extremely durable for stacking multiple filing boxes on top of one another. 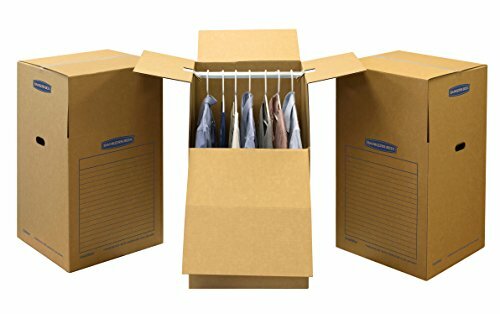 Equipped with a label window for simple organization and may be used for storing toys, closet accessories and other items outside of files. Sized perfectly for desktop or bookshelf use, these file boxes allow quick access to files and have carrying handles for portability. 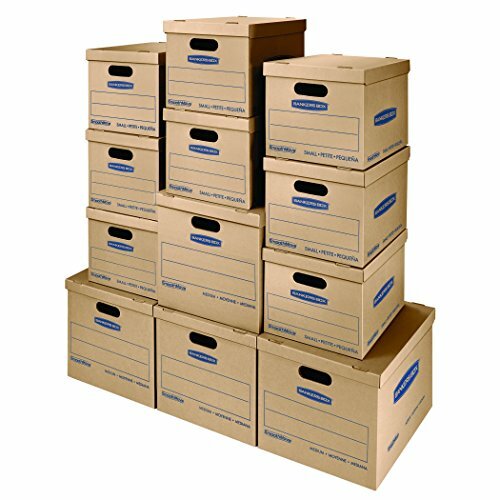 These desktop file boxes are a great way to organize frequently used files while keeping them easily accessible. Built-in handles allow for portability. 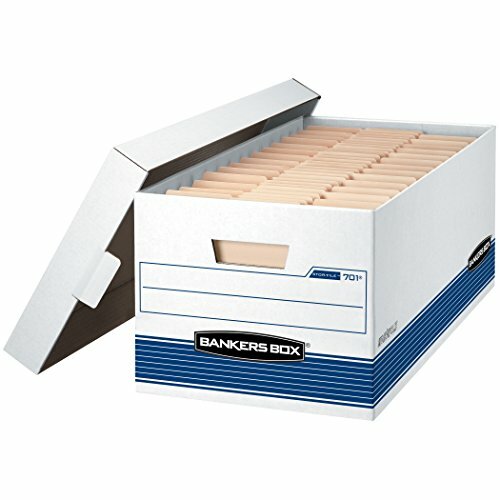 Brand: IRIS USA, Inc. | Manufacturer: IRIS USA, Inc.
Keep your books organized and within easy reach. Link the Store book bins together to make a sturdy book storage or use the easy to grip handles to carry a set of books to your reading corner. The handles are perfectly sized for big and small hands. The bin will fit taller books and Letter sized file folder too. 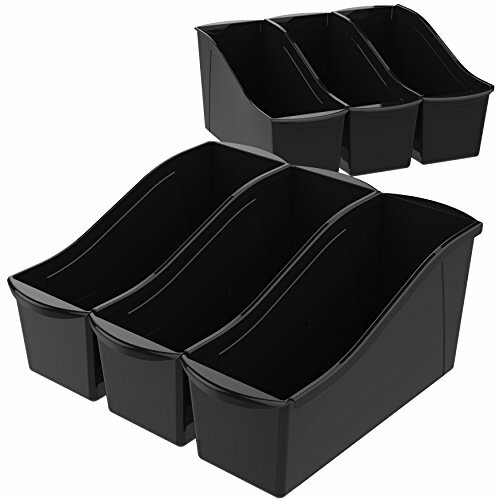 It will be easy to flip through your papers and books in this extremely versatile bin. 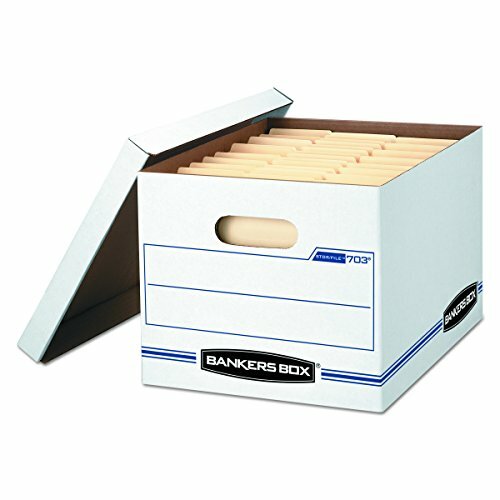 Brand: Storex | Manufacturer: Storex Industries Corp.
Bankers Box smoothmove no tape easy set up classic moving box value 30 boxes. 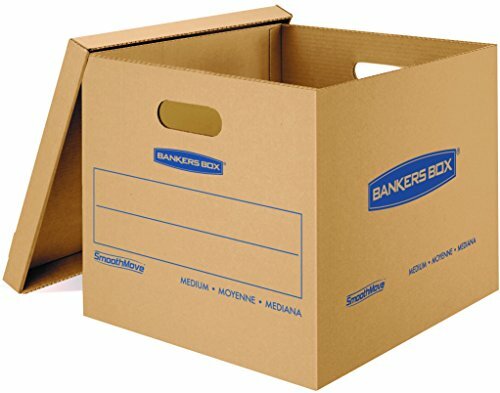 Easy set-up - no tape required for box assembly. Convenient lift-off lid. Easy carry handles. Durable, double end, double bottom construction. Constructed from strong 32 ECT b-flute kraft corrugated board. Reusable, recyclable and made in the USA. Upgrade your file organization with the multi-functional file boxes by Zicoto This storage set of 2 is characterized by enormous versatility & high-quality materials. Approx. 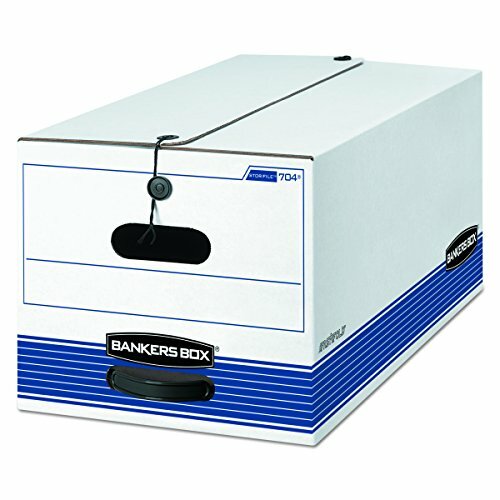 15.4*12.4*10" in size, it offers ample space for organizing folders, hanging files, paperwork and other office supplies. 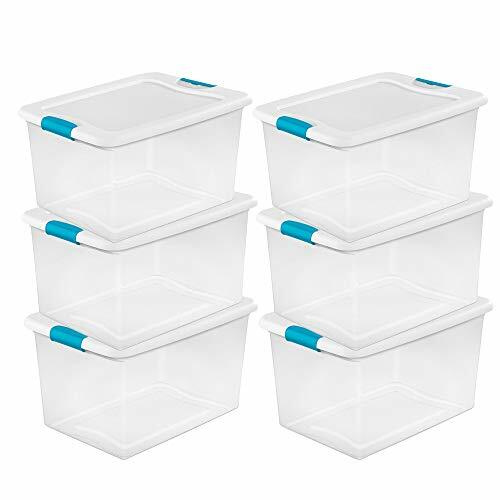 But, there is much more to it than that, as these storage boxes with lids are true all-rounders: Also use the portable file box with handle for storing books, kids toys, photos, clothes and much more. Zicoto counts on durable materials to ensure that the document and file organizer provides a reliable storage system for all your needs. 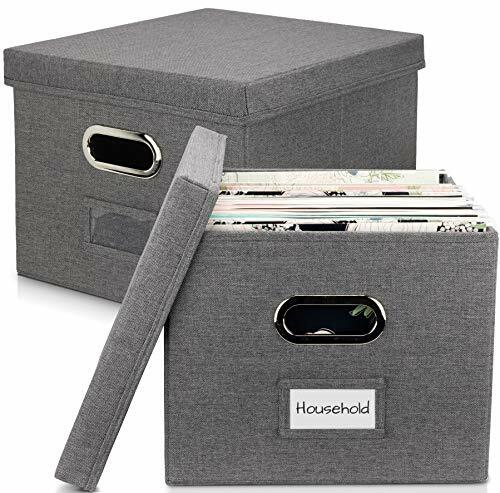 The matching grey linen lids keep any dust from your documents and stored goods, while bringing an additional aesthetic finish to the decorative file cabinet boxes. 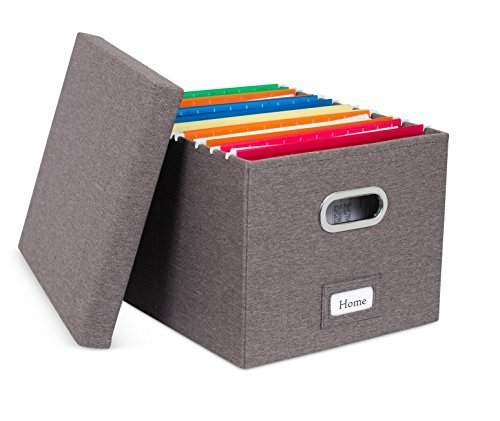 Portable, stackable & collapsible: The ultimate space-saving file folder organizer Thanks to the built-in handles you easily place the portable hanging file box wherever you want. 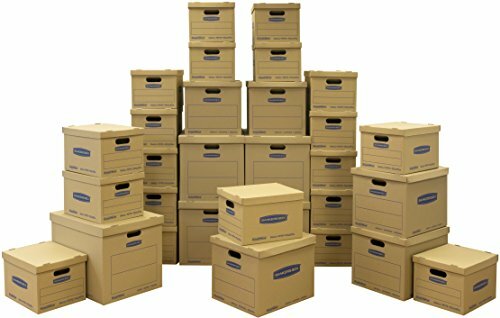 Simply stack the storage boxes for files in your storeroom or shelves for optimal space utilization. When not in use, take advantage of the folding feature and store the file box organizer flat, neat & tidy. 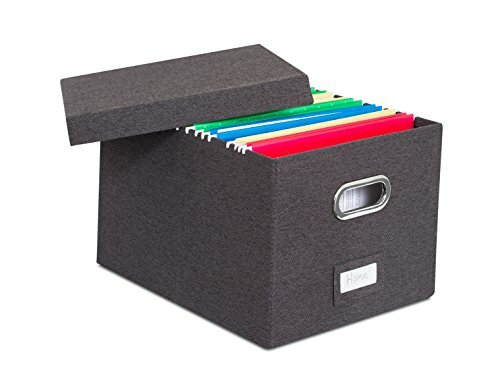 Add some style to the dull organization business: The sophisticated, classic design of the Zicoto filing boxes outshines boring paper hanging file organizers easily. Note: When using the filing boxes for hanging files the lid won't close entirely. 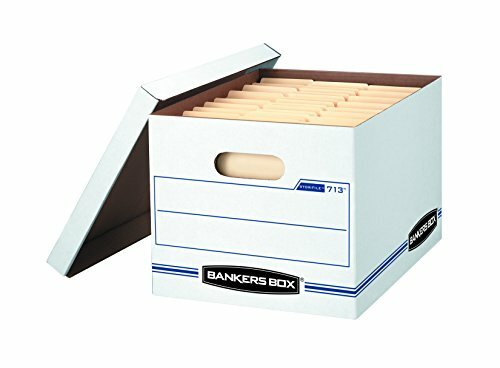 Searching for a flawless decorative filing box? Then put the Zicoto file storage box set of 2 in your cart now! Double end, 1-1/2 side, double bottom construction. Medium-duty for use with or without shelving. FastFold quick and easy assembly. Deep, locking lift-off lid stays in place for secure file storage. Rolled edges add strength and prevent paper cuts. Easy FastFold(TM) One Step Set-up saves assembly time. Locking lift-off lid stays in place to secure box contents. 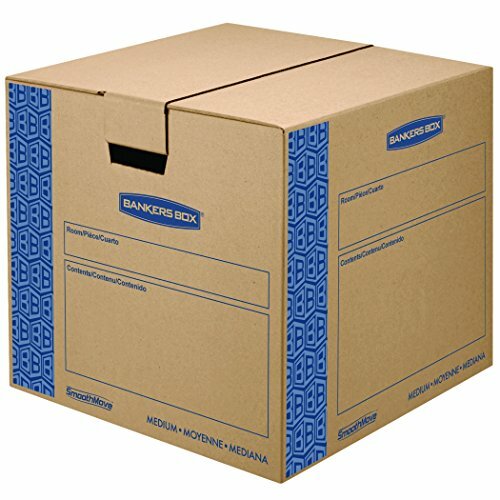 Smooth rolled box edges add strength and help prevent paper cuts. String & button closure keeps contents secure even if box is overturned. FastFold quick and easy assembly. Medium-duty stacking strength for use with or without shelving. Plastic handle for easy access to records. 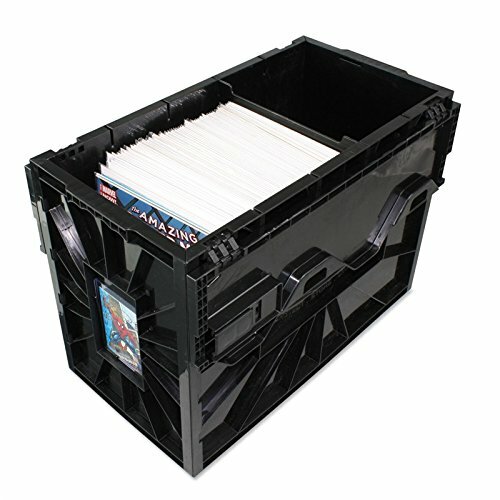 This box offers 30% greater stacking strength than other brands and is ideal for storage with or without shelving.